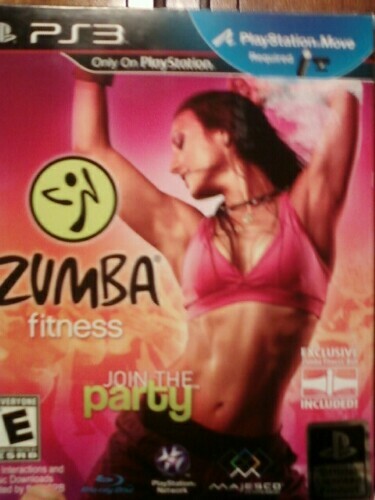 I recently bought the Zumba Fitness game for PS3 Move. Since I got off work a little early, I decided to give it a try last night. It was awesome. There are tutorials that teach you the moves. There is also a workout calendar/journal where you can track your progress. If you are not familiar with the PS3 Move, I’ll explain. There is a camera you place on top of your tv and insert the Move controller in the Zumba belt. You are supposed to follow the moves the instructor does on the screen. If you do it right, you get “energy” points and increase to the next level. I did the beginner 20 min workout and did rather well for the first time. I have taken a few Zumba classes before at the gym so I guess I’m not really a beginner. It was so much fun and I broke a sweat! I didn’t really expect that from a video game, but felt like I got a good workout in. We have rather chilly weather here in TN but I was able to stay warm last night from my Zumba workout! Now I have the Zumba party music in my head! I have found another way to stay fit that is lots of fun! For those of you not familiar with Zumba, the link to their website is below.